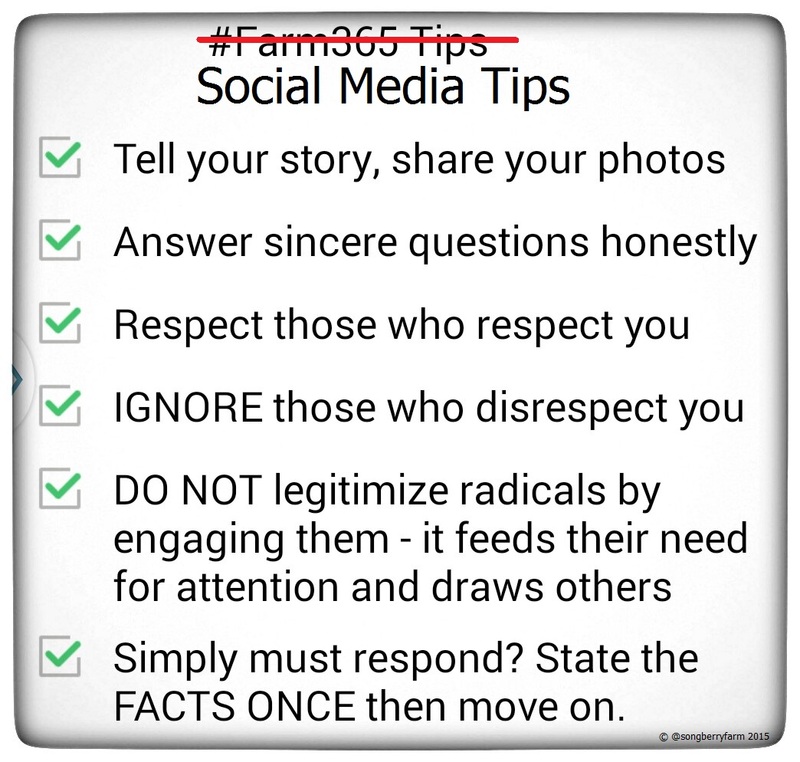 If you’re a farmer on Twitter, chances are you’ve come across #farm365, the agricultural advocacy concept that was hijacked by radical vegans, with sadly predictable results. After the first week, I was inspired to share a short list of “tips” that I hoped would guide conversations in positive directions. It generated a lot of supportive feedback at the time, and over a month later, I still the image popping up here and there. Some people have argued that there is value in “engaging radicals” in order to inform the silent observers – I would agree to a point, but this is where knowing when to “pull the plug” is essential – it’s far too easy to get sucked into a downward spiral of negative messages. I’m going to save and use this. Hope you don’t mind, it’s a very good reminder to all. Please do, Gloria – I don’t mind at all. Thanks for the feedback! Here are some excellent tips for Ag chat opportunities!